Credit card rewards programs are a dime a dozen. But not all rewards programs are created the same. Here's what you need to know about choosing the right credit card rewards plan. It doesn't really make sense to apply for a credit card with rewards that you don't intend to use. There are so many credit card offers out there that you should be able to find a card that meets your needs and interest. Among the rewards programs out there are ones that offer cash back, travel discounts, merchandise, or payments toward your mortgage. Shop around and compare different credit card rewards offers before signing up. The best credit cards offer rewards you want and no annual fee. But it's important to decide exactly how you plan to use a rewards card before applying for one. If you plan to use your credit card for everyday purchases, you may find the best value in a card that offer cash back or points for items you would buy anyway, such as groceries or clothing. If you eat out a lot, look for a rewards card that offers points or vouchers toward free meals at a variety of restaurants. Just make sure the list includes places where you'd actually eat. 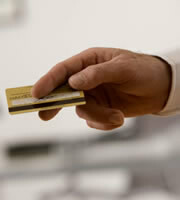 Some rewards cards have annual fees and/or higher interest rates than non-rewards cards. Paying too many fees can wipe out any benefit from having rewards. Let's say you have a rewards card with an annual fee of $50 that gives you a point for every dollar spent. If that card gives you $50 cash back for every 5,000 points, you'd have to spend more than $5,000 on that card to receive more than the amount of the annual fee as cash back. That's not even taking into account the interest rate on the card. Should You Use Zero Balance Transfers? Some credit card offers come with zero balance transfers in addition to rewards programs. Avoid signing up for zero balance offers if you won't be able to pay off the balance by the time the interest rate jumps. However, if you have a steady income and make your credit card payments on time, a zero balance offer on a rewards card can save you some interest and help you earn some goodies. 0 Responses to "What to Know about Credit Card Rewards Programs"